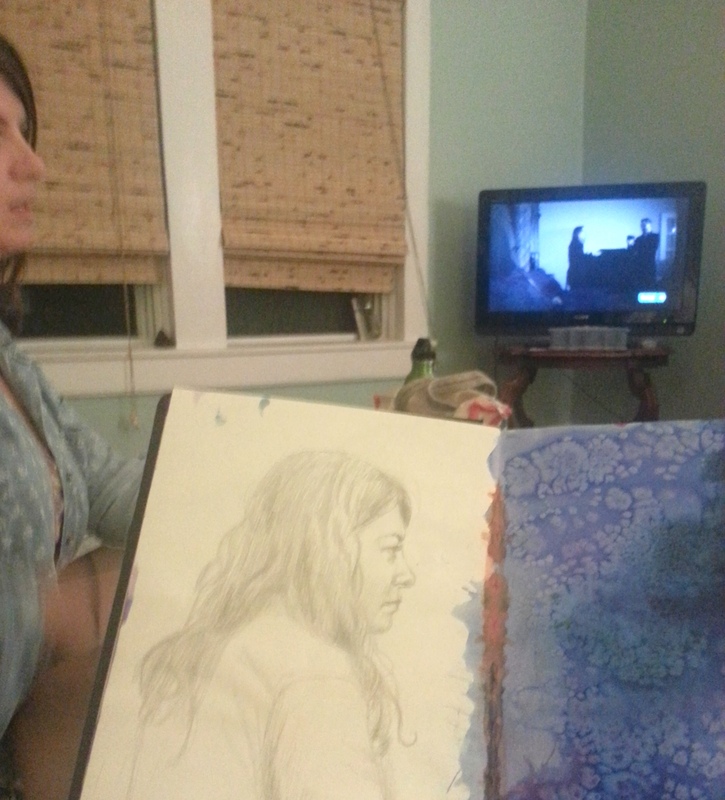 My friend came over for craft night and she let me draw her portrait while we watched my favorite show, The Dead Files. Looking good! That is a great idea to get your friends to model for you. I was thinking about doing the same thing. I also like the abstract watercolor on the right side of the journal. I have very kind friends! It’s good practice drawing from life.